by Nate Ostis Amazon Author Page here. Want a signed copy of this book? We can ship you one for $22.95. You can send us a check or we can paypal invoice you. "Not only does Nate Ostis draw from his 20+ years of experience working on the river to share his invaluable insight into river rescue, but he has also sought out the input of numerous seasoned and renowned river professionals. The combination of years of experience, countless rescue courses, constant reflection on current practices, and a continuous drive to share this information, has led to the publication of this amazing resource." 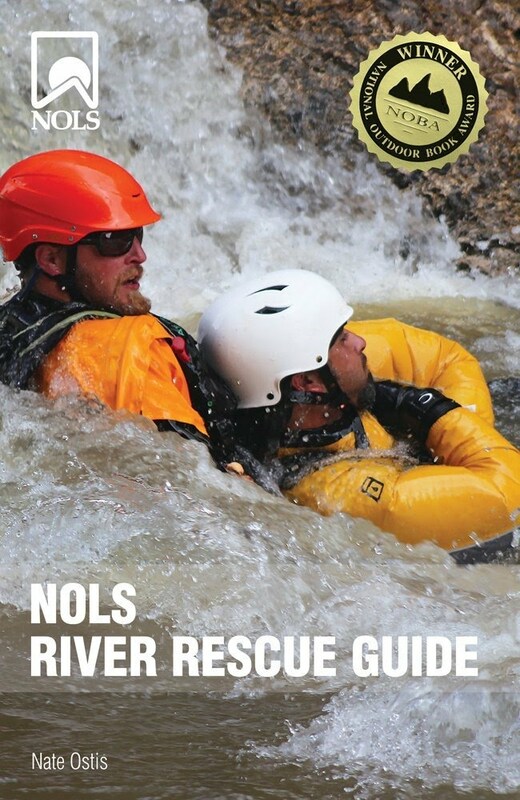 "NOLS RIVER RESCUE GUIDE comes at the subject of river rescue in a scholarly, organized and effective manner. It must be understood that rescue is an undeniable part of whitewater. NOLS RIVER RESCUE GUIDE prepares the reader for that moment in time when their actions will be required; whether it is a simple rope throw or life-saving entrapment rescue. Any river runner, amateur or professional, should study this book cover to cover. NOLS RIVER RESCUE GUIDE educates the reader in an orderly progression with great use of acronyms, graphs, photographs and stories. If you don't have Nate Ostis along on your trip, be sure to pack his book in your ammo can." “A solid resource, very complete, packed with good information, photos, and illustrations. Founder Eastern River Expeditions, rafting trips in ME, NY, MD, and WV. Founded rafting operations in Italy and Switzerland. Founded sea kayaking operations in Maine, North Carolina and Florida. Founding board member of the America Outdoors Association. 1991 US Canoe and Kayak Team, World Cup and World Championships. "This is an excellent resource for river rescue and safety philosophy and practice. Well organized, and simple approach to a complex topic. A great river rescue toolbox, a resource for now and later." "The NOLS River Rescue Guide is a must-read for any paddler who will be navigating the 'active avalanches' that are rivers. Nate Ostis combines years of practical experience with a passion to educate in this book." Founder & Head Teacher at the Alzar School. Whitewater photographer & founder of B Real Media. founder Sierra Mac River Trips. First commercial operators on Cherry Creek.